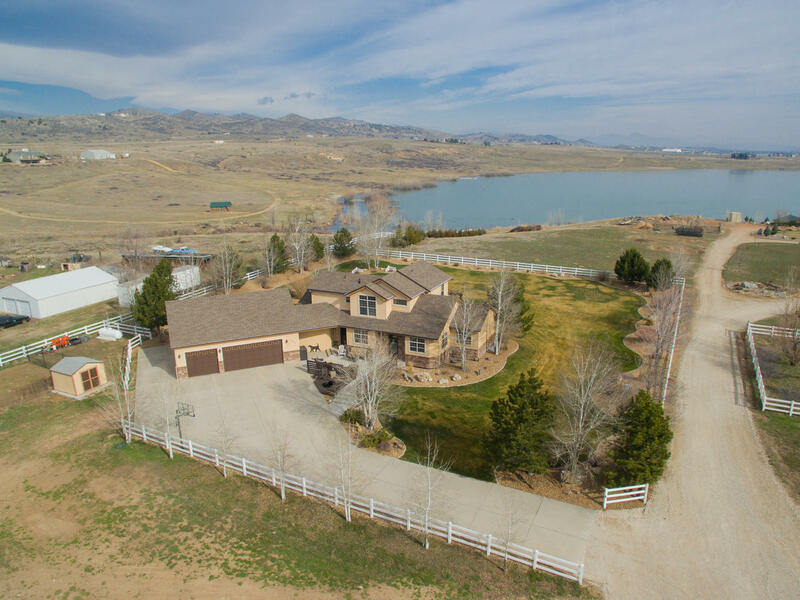 ,eautiful 2-story home with lake and mountain views! 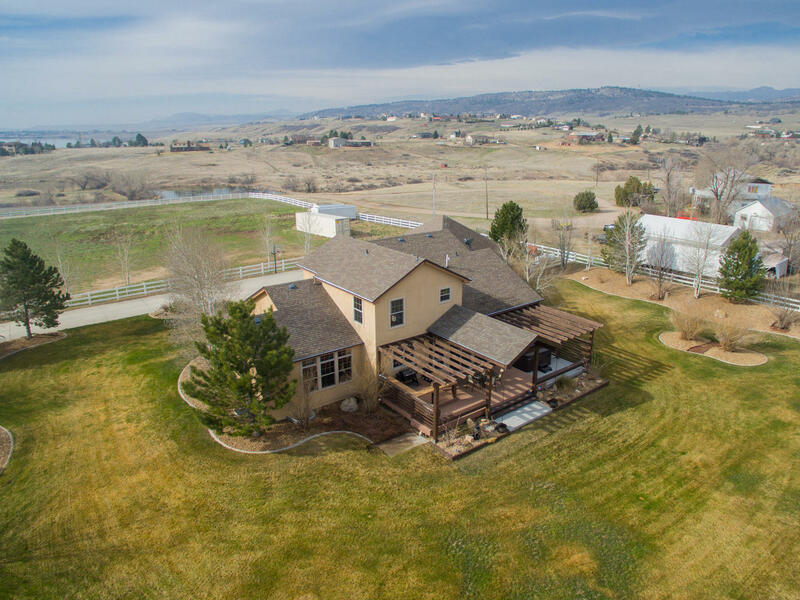 Located on 2.34 acres NO HOA or METRO-DISTRICT! Large spacious backyard with covered trex deck perfect for entertaining or enjoying it all for yourself! 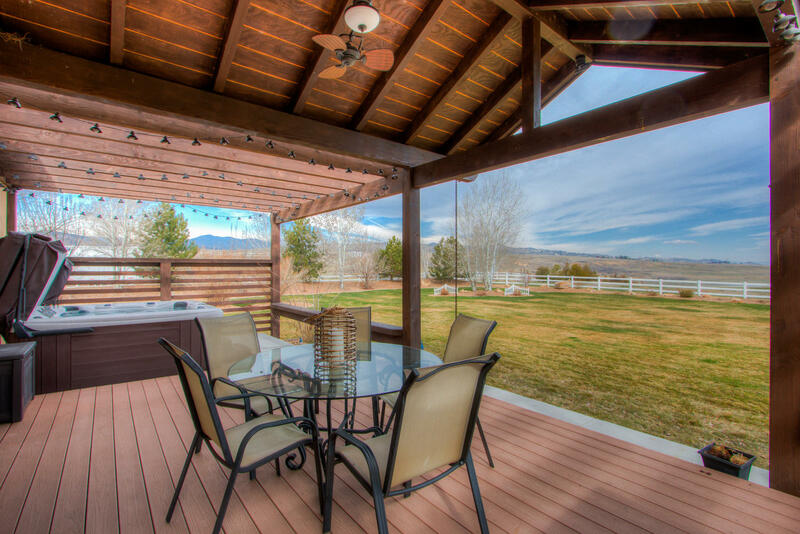 Front yard features a wonder custom water feature to give you that Colorado feel. Over 4400 finished sqft. 5 bedroom, 5 bath featuring a huge fully updated kitchen with with leatherette granite countertops, large island with smooth-top range, double ovens, large refrigerator, large eating area with with amazing views. Separate dining area, and large office with built in desks. Full finished basement includes theatre room with big screen, large recreation room, bedroom,bath, flex room, and wetbar. This home is a must see!